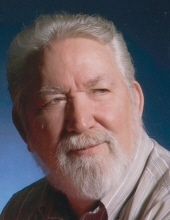 Eugene A. Lancour, age 79, of Burlington, passed away at home surrounded by family on Saturday, April 6, 2019. Born in Delavan, Wisconsin on December 6, 1939, he was the son of Raymond and Myrtle (nee Kinney) Lancour. He grew up with his family farming in Walworth County. On August 16, 1980 he was united in marriage to Theresa Linneman (nee Popp) in Wisconsin and made their home in Burlington. Eugene worked for and retired from AMC/Chrysler in Kenosha. He was a member of St. Charles Borromeo Catholic Church. He loved nature, reading, playing cards - especially cribbage, and making sure everyone left with a full stomach. Eugene is survived by his wife, Theresa; children, Eugene J. (Linda), Annette (Jack), Carla (Brian), Charles (Kathryn), Charlene (Bill), John, Lawrence, and Victoria (Ageo); several grandchildren and great-grandchildren; siblings, Arnold, Bernard (Connie), Kenneth, Mary, Edward, James (Chris), Margaret (Dennis), Elaine, and Phillip (Tracy); and sisters-in-law, Velma and Marlena. He was preceded in death by his parents; sons, Joseph and Kevin; brothers, Raymond, Richard, Howard and Ernest; sisters-in-law Patricia and Danetta; and brothers-in-law, Fred, Buck, and William. The family would like to thank the staff at Aurora Cancer Care Center in Burlington and Aurora at Home Hospice for their care and compassion during this time. A Mass of Christian Burial will be held on Saturday, April 13, 2019 at 1:00 PM at St. Charles Borromeo Catholic Church. Relatives and friends may visit with the family on Saturday, April 13th from 11:00 AM until 12:45 PM at CHURCH. Eugene will be laid to rest in St. Charles Cemetery following Mass. To send flowers or a remembrance gift to the family of Eugene A. Lancour, please visit our Tribute Store. "Email Address" would like to share the life celebration of Eugene A. Lancour. Click on the "link" to go to share a favorite memory or leave a condolence message for the family.